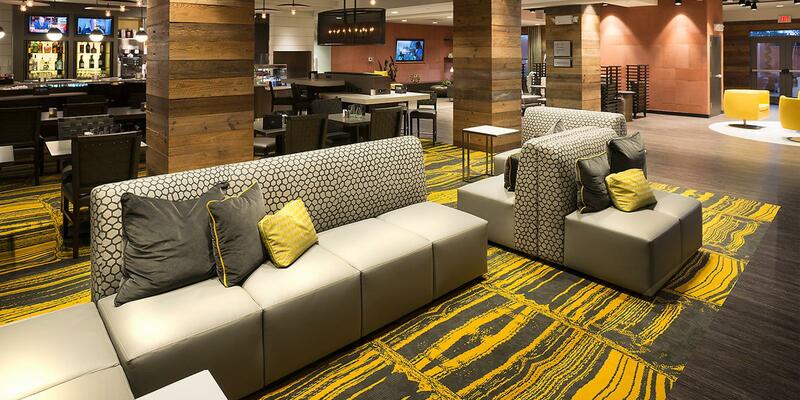 Courtyard, a Marriott brand, defines hospitality for today's business traveller. 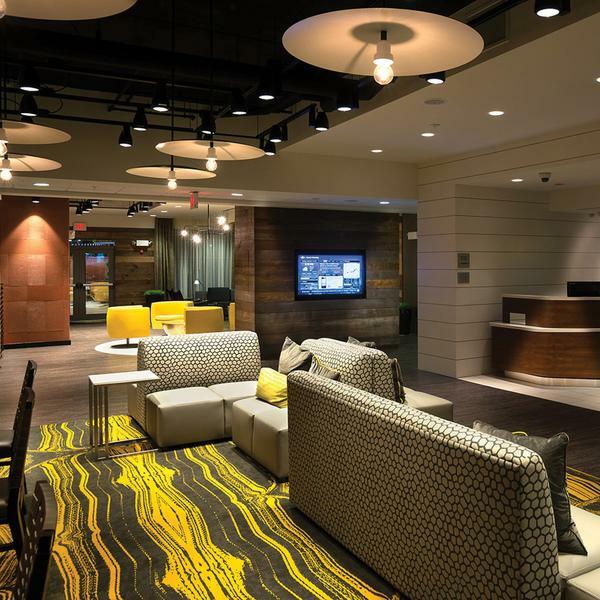 Courtyard hotels provide energetic lobbies and dynamic designs paired with free Wi-fi for all public spaces and guest rooms. This promotes a balanced and productive environment for all Courtyard guests. 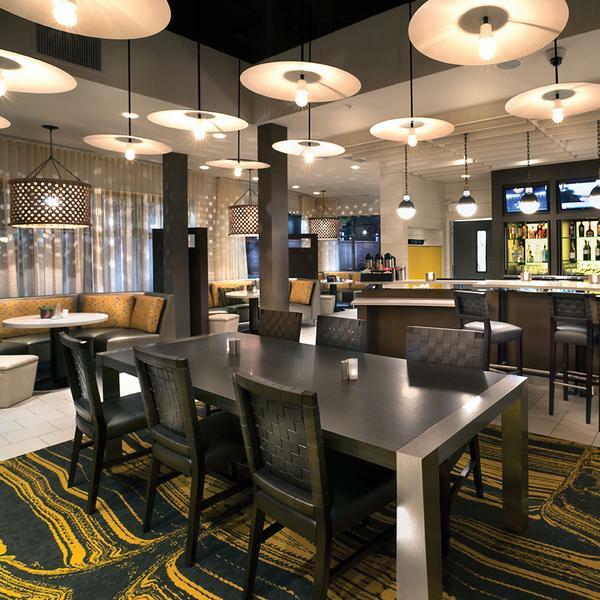 The hotel sits just twenty-four miles north of Charleston, SC, in Summerville, "The Birthplace of Sweet Tea and Southern Charm" in South Carolina's new community, Nexton. Guests are centrally located to Charleston Southern University, with quick commute to Charleston for business, shopping, or entertainment. Functionality meets design to bring a welcoming, prolific, and magnetic environment to all visitors. It was such a pleasure working with the Brintons team, we would not have been able to achieve the look we wanted. 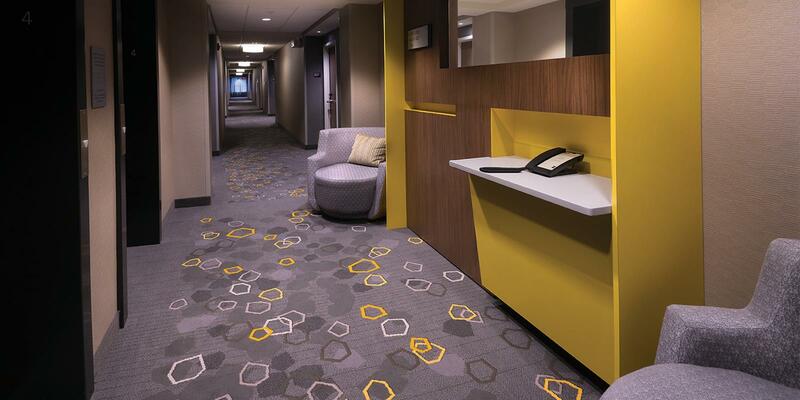 Our sales representative from Brintons was very familiar with Marriott standards and prototype patterns that were able to mix those in with other patterns from Brintons to make the project a true success and cutting edge design work.